The real question here should be: "How small a boat can I safely & comfortably cruise the Loop?" next Port or Marina safely. That means the weakest person needs to be able to handle the boat safely! 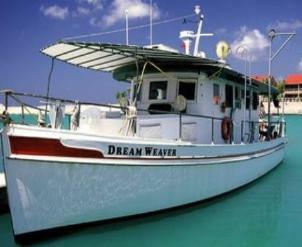 couples are cruising in 36' trawlers or similar size vessels. Some of course, do it in smaller vessels, some do it in bigger vessels. ideal for a solo voyager. I know some have done it in smaller and larger vessels, but this is a nice range.
. . . 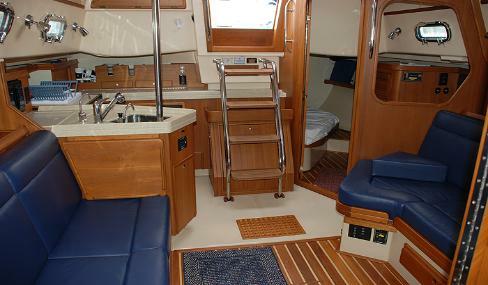 Your boat should fit you like a favorite pair of shoes - not too big, not too small and very comfortable. only more economical, it is much more simple. long, or work to the boater's satisfaction. 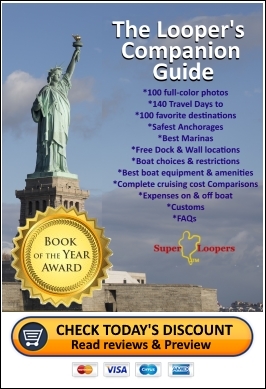 Marine mechanic check it out before you go. Believe me, you will have less stress, few problems and a lot more fun. (or at least should) take you the best part of a year. 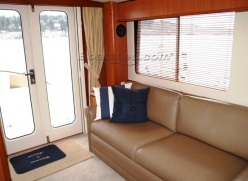 . . You have to be comfortable and happy with your boat selection! How big is a big boat? 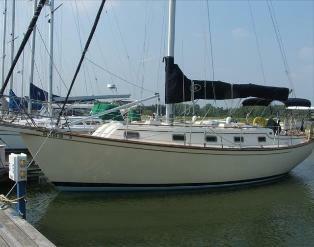 If your dreaming of a 50 footer - That's BIG! - You might want to think again. longer. Of those over 40 feet less than 1% (thats 1 in 10,000) of them reach 48 feet. That alone should tell you something. . .
Great Loop, there are also a few maximum size limits & restrictions. a much smaller, affordable boat. It is the one I live my dream on! vessels that size, the cost of cruising long-distance can potential exceed the purchase price. that is a boat very near 36-feet in length. How big a boat do I need to cruise the Loop? and for many great reasons. 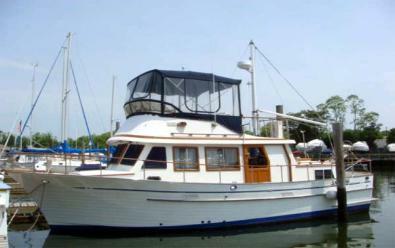 great deal on a great safe, seaworthy Trawler. and pocketbooks. It is critically important that you remain in your comfort zone physically and financially. Do what makes "you and your 1st Mate"
comfortable & happy. I'm just here to give you options and alternatives as food for thought! 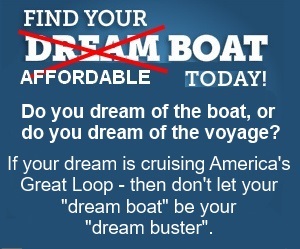 Think your 1st Mate could live in one of the above for a year while cruising America's Great Loop? 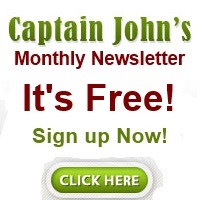 It is "ONCE A MONTH ONLY"
the result will be instant! 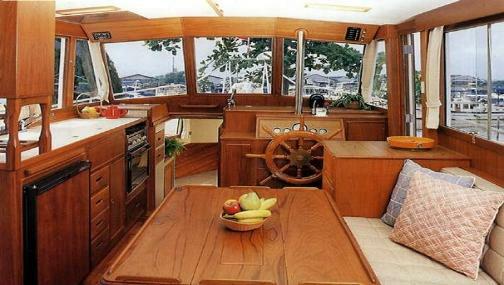 The above 3 interior pictures are of a 34' Mainship Trawler. 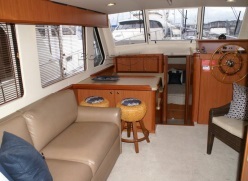 If a cruising couple can't live happily in this for a year. . . I highly suspect they couldn't live happily on a boat the size of an Aircraft Carrier. 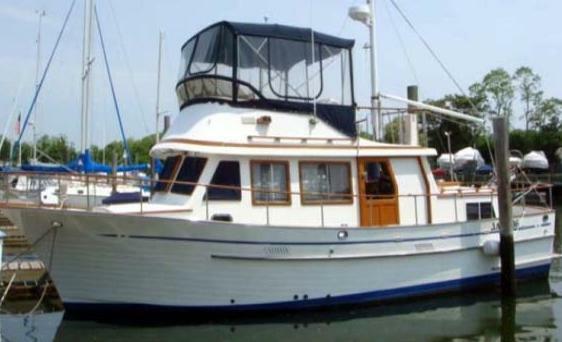 Point is, (and any honest reputable Boat Dealers will verify) the most popular MISTAKE first time "live aboard size"
"experienced" boater wants is that perfect size, and that's something in the middle. 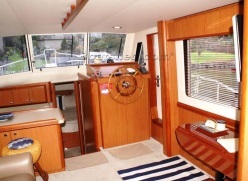 time, with Captain Boat Payment at the helm is generally not a good idea. 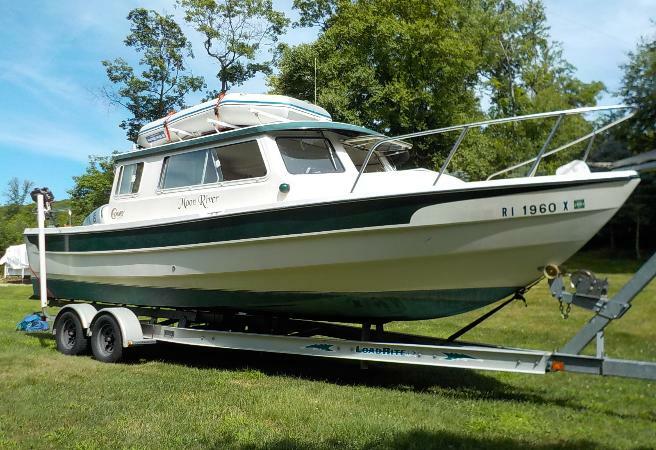 based on the best deal I can get on the used boat market. keep our vessel as small and simple as comfort & safety requires. Loop. With a 2' draft and 2-gph at Looping speed and capable of going much faster, it's a great economical choice.